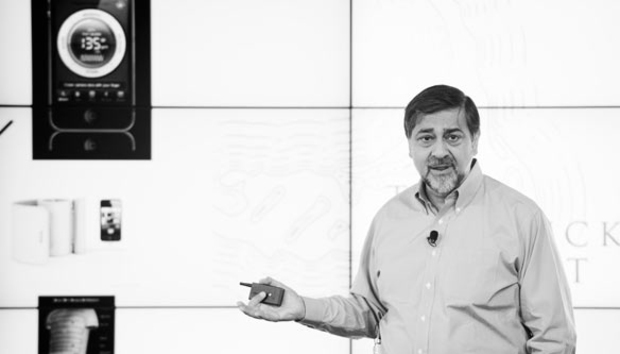 Vivek Wadhwa describes himself as an academic, researcher, writer and entrepreneur and has written extensively about diversity in technology. In Autumn 2014, he and Farai Chideya released a co-edited book, “Innovating Women: The Changing Face of Technology” which presented the voices of hundreds of women in STEM fields. We catch up with him to learn more. How serious a problem do you think sexism, racism and ageism are in Silicon Valley? Silicon Valley complains of shortages of skilled talent. Yet it excludes more than half of the population from the innovation economy. The entire venture capital system is in decline because of its flawed assumptions about who makes a successful entrepreneur. Silicon Valley’s elite still behave as if they are in the 50s when such behaviour was acceptable. Through 2014 a slew of tech companies released their fairly shocking diversity figures. Whilst in March, New Republic published its searing investigation into Silicon Valley: “The Brutal Ageism of Tech”. Do you think these headlines have had any impact? Yes, the tech industry is under fire and the Boys Club is reeling from criticism. These people are used to being lauded—not criticized. They are finally beginning to realize that they may have to change. How did you select the women featured in “Innovating Women”? Were there any stories you had to reject due to lack of space? We invited women from all over the world to contribute to our crowdcreating platform. Farai Chideya and our research team culled the most powerful stories from this. We tried to be as inclusive as we could be. Did anything surprise you in the process of crowdfunding, compiling and editing this book? I was surprised—delighted—at the amount of support. I was shocked at the depth of the problem and saddened by the many stories of discrimination. I was uplifted to read the stories of women who had surmounted the obstacles and achieved success. What reaction have you had to “Innovating Women”? Very very positive. I get several emails every week from women all over the world thanking me for making this book happen. Women everywhere have found other women they can relate to, learn from, and be inspired by. You seem to be of the view that most diversity issues stem from the VCs – what needs to be done to rectify this problem? It isn’t just the VCs. It is also the boards and management teams of companies. In other words, it is the power brokers who I am holding accountable and faulting. Sexism is prevalent in the Indian tech scene. In Kenya there is some evidence that companies without Western ties find it harder to get funding. It seems these problems could be endemic in tech the world over. What is your view? For all my criticism of Silicon Valley, it is actually better than most places in the world. That is a sad statement. Things are worse in India, they are worse in Kenya, they are worse in Latin America. The reason I have picked on Silicon Valley is because it claims to be the most advanced, most open, most inclusive. It claims to be a meritocracy. This is not the case. You have written fairly extensively on how US immigration rules are harming its talent pool - can you summarise your views here? Because of our immigration policies, there are more than one million people stuck in limbo—waiting for green cards. They are stuck in the same jobs at the same companies. They could be starting companies and digging deeper roots. That is the real problem. Is there anything else you’d like to share with IDG Connect’s international IT audience? The reason diversity is important is that it will lead to more innovation and more economic growth. It isn’t about diversity for the sake of diversity, it is about doing what is good for us.